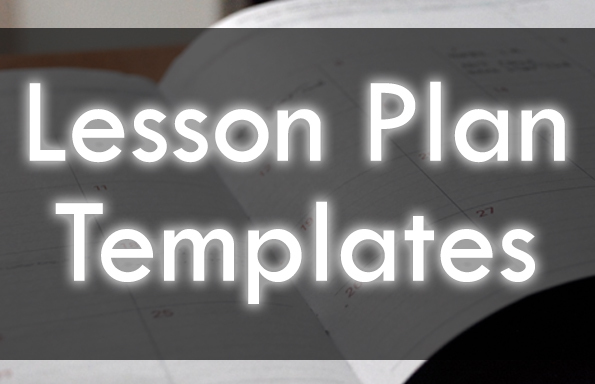 So, you’re looking for a lesson plan template. And not just any lesson plan template. (I mean, anyone can heap an instructional to-do list together, right?) What you’re looking for is something better… something brighter, prettier, smarter, and faster than all those that came before it. Lucky for you, we’ve boiled lesson planning down to a science, and we’ve developed a variety of lesson plan templates that will have you kicking yourself for ever having written your plans any other way. 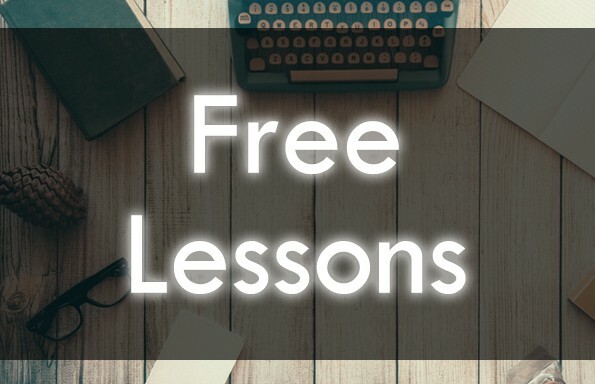 Get ready to meet the lesson plan template of your dreams… Enter your information below to receive three awesome templates in your inbox (in both PDF and editable .DOC format) immediately! #1. 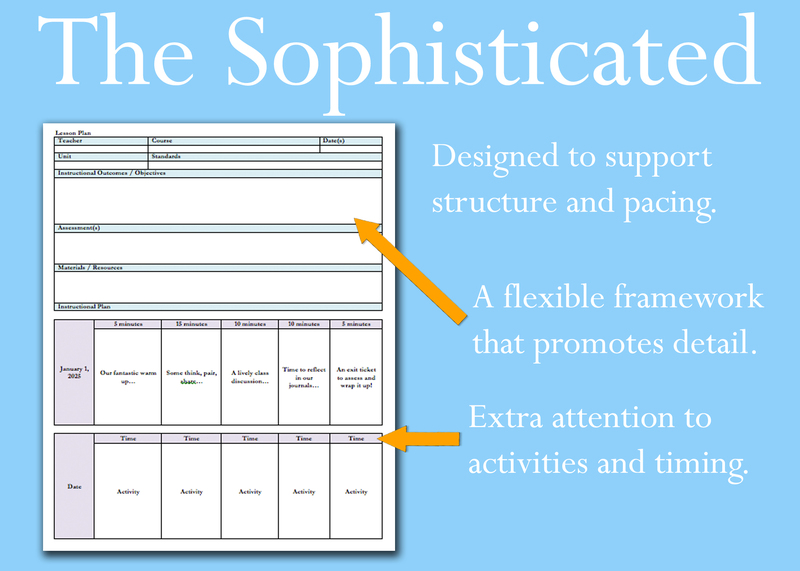 The Standard Lesson Plan Template. “The Standard” is, as you may have guessed, the most widely used lesson plan template — and with good reason. This template is easy to use, easy to customize, and, perhaps best of all, it looks great. 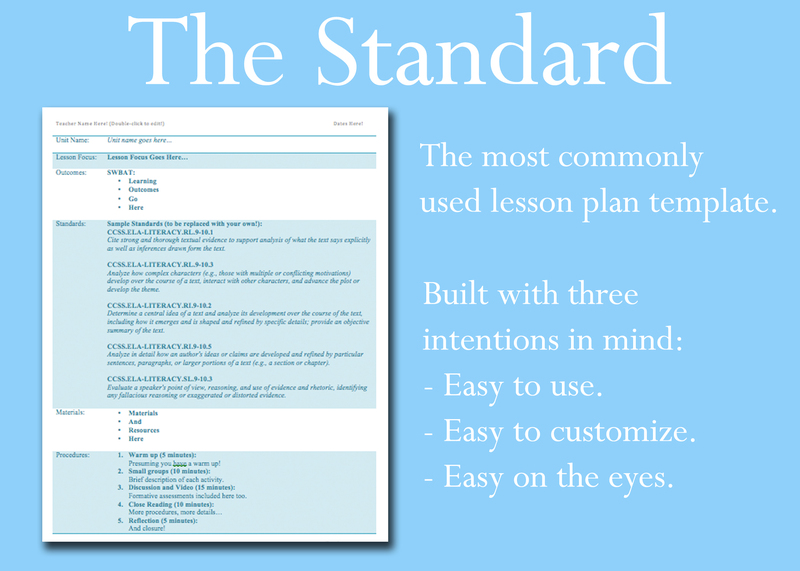 If you’re looking for an easily customized format that is as thorough as it is aesthetically pleasing, regardless of grade level or content area, “The Standard” lesson plan template is for you. 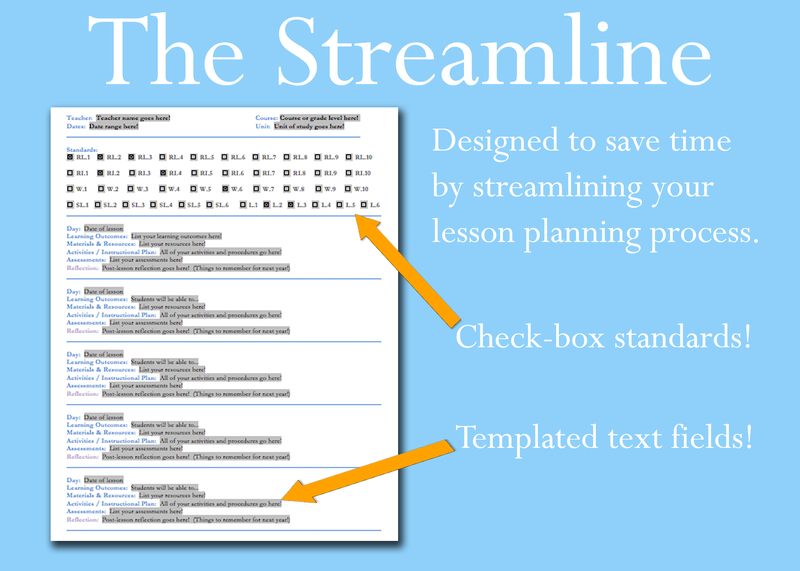 “The Streamline” lesson plan template is our favorite of the bunch. Use this sucker once and you’ll wonder how you ever wrote lesson plans without it. This Word document offers all essential lesson plan criteria with corresponding text fields to be easily plugged in. Our favorite part? The CCSS ELA standards for grades 6 – 12 are all indicated by checkboxes at the top of the template. That means no more digging through endless standards and no more messy copy and paste antics — just tons of time saved. Yes, English teachers — this is the lesson plan template you’ve been waiting for. Simply enter your information below to receive all three awesome templates in your inbox (in both PDF and editable .DOC format) immediately!